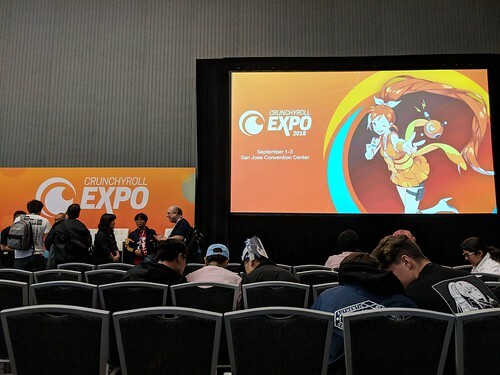 Crunchyroll Expo | Topic "Otaku"
I went to Crunchyroll Expo (CRX) this year, Crunchyroll’s first ever anime convention, which took place on August 25th through 27th at the Santa Clara Convention Center. 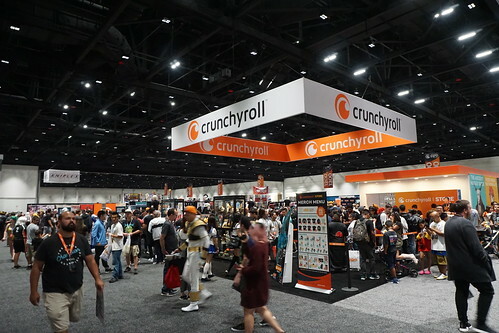 If you don’t know what Crunchyroll is: Crunchyroll is an American distributor, publisher, licensing company and international online community focused on video streaming East Asian media including anime, manga, drama, music, electronic entertainment, and content. – Wikipedia. Originally created as a website to illegally distribute licensed anime titles, it grew over time into an official platform to house anime and manga titles. Its name is now mostly known throughout the industry as one of the legal ways to watch anime and support the anime industry at the same time. I’ve been a premium member of Crunchyroll for a while now, but I will admit that I used to watch anime on illegal sites before, like most people have. For me, Crunchyroll is a cheap and convenient way for me to watch most of what I’m looking to watch in an anime season. 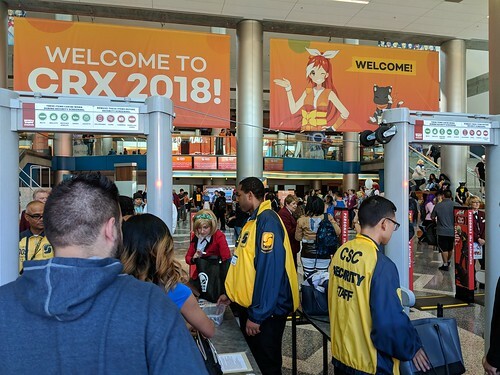 My friends and I went to CRX for the first two days of the event. There wasn’t much that interested us in the third day so we skipped it. CRX also happened to be right after a 6 day road trip my friends and I had, so it was a bit of a transition from that to a con scene. 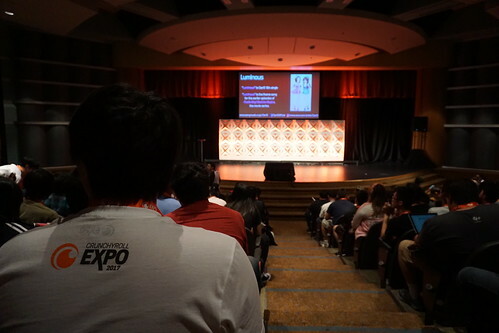 For all my photos taken from Crunchyroll Expo, please check out my Flickr set Crunchyroll Expo 2017. We arrived at CRX at about 5:30PM after dealing with some 101 traffic. 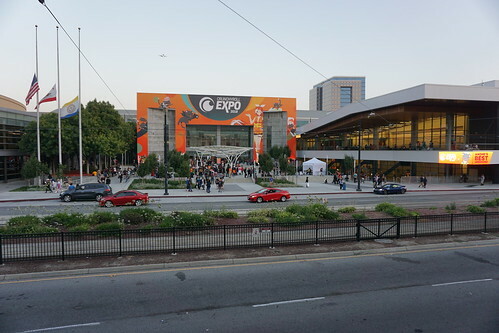 We easily toured the entire con as the convention center is quite small in comparison to other con centers I’ve been to. The Dealers Hall and Artist Alley were pretty good but there wasn’t much else in between that interested us. 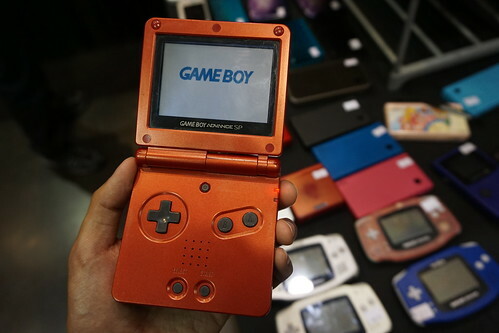 I at least did find myself buying a Game Boy Advance SP in the Dealers Hall after looking for one for a while to replace the one I have that has a broken inner screen where the liquid crystal display is. 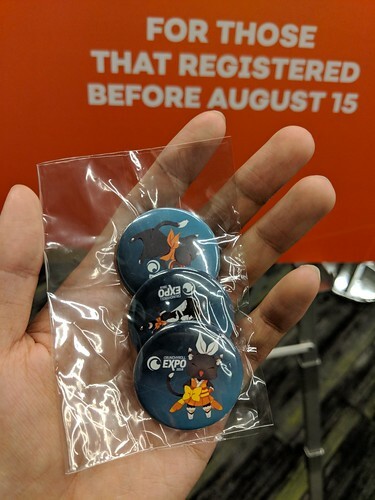 I also got a couple free bags and a pin for being a premium member of Crunchyroll. 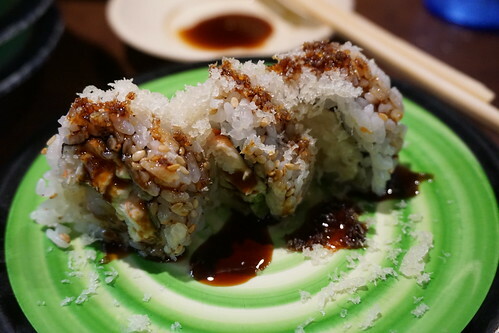 Not long after going around the con, we decided to leave at around 7PM to go to a nearby Sushi place called Kula Sushi in Cupertino for dinner. The food here is good but the wait to get in is really long. (We waited about an hour and a half.) I love their secondary belt delivery system, which is used to deliver ordered food from a touch screen directly to your table. It was useful as we were at the end of our revolving belt, meaning that most of the sushi on it was already taken. After a satisfying dinner we headed back home to rest for the next day. The second day started almost like the first, but I avoided potential traffic by taking the 280 instead. We arrived at CRX at around 4:30pm and split up shortly after so that I can go around to take photos while my other friends wander the con. At 6PM we meet up to grab some dinner at the food trucks that were posted on the side of the convention. There wasn’t many options, but it was better than nothing. I got myself some Korean chicken “rice bowl” that didn’t have rice due to the truck not having any more rice. Despite that, the chicken was quite good, just wish I had rice, that would of made it more filling. There was some events that each of us wanted to check out at around this time: My friends wanted to go to the screening of Lastman, a french animation about a magical boxer…. apparently. 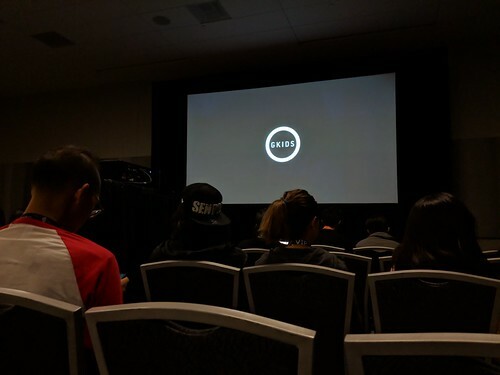 While they attended that I decided to go to the ClariS video concert, which was the exact same one I attended at Anime Expo. I got to the AX one in the middle of it, so I didn’t get the full experience. I lined up about 45 minutes before it was to start, and by the time it was go time the line was long enough that I thought that they would have to cap the line for the room. 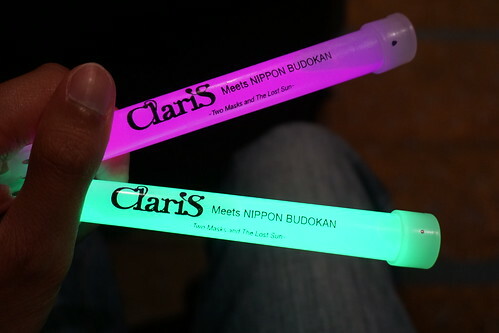 As we entered the concert room we were given a pair of green and pink glow sticks that were branded with the ClariS name. I got a seat near the central aisle towards the back, and as people filed in I noticed the room was bigger than I thought it would hold. Looking towards the stage was a fairly small screen that was showing a pop quiz about ClariS which most people seemed to participate in as it played. While waiting for the concert to start there was an old man next to me who didn’t seem to know who the “performers” were, so I explained as simply as possible to enlighten him about ClariS. Right as the quiz ended, the concert started. It was a great mix of anime songs they did, as well as from their own albums. It was also my first time being in a concert where the audience participated using glow sticks, just like a lot of J-pop concerts do in Japan. It was fun to see myself and others try and figure out the rhythm and type of movement for each song. Usually we took ques from the audience in the video concert, as well as audio ques from the more experienced concert goers who added their own parts for us to follow. After the concert I waited around for my friends a bit near their screening room. I ended up getting tired of standing around waiting so I decided to go to my car and wait there, which wasn’t too far from the exit of the convention center. As I walked to my car, fireworks were going off over the Great America theme park that was across the street from the convention center. I could see people in the neighboring hotel checking out the light show from my car. At around 10PM my friends finished up and we left for home shortly after. 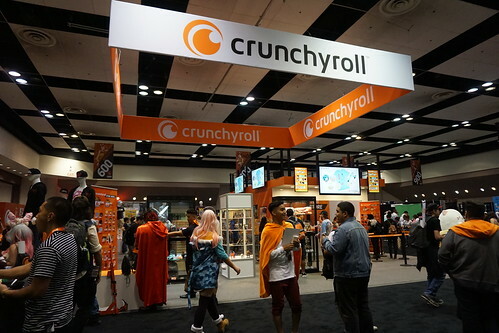 For the first ever Crunchyroll Expo, I thought it was tame but solid. Sure I was there collectively for only several hours between the three day event, but based on the schedule there wasn’t much to see overall. If I were to rate it out of 10, I would give it a 7. 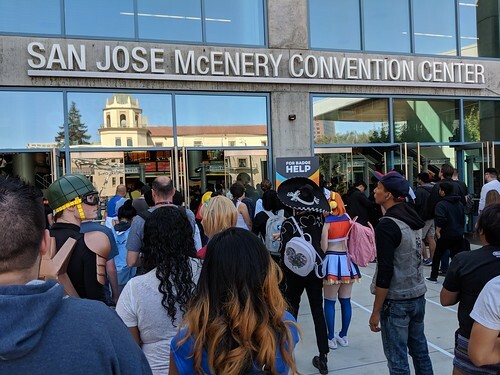 I give this con the benefit of a doubt for a couple of reasons: For one if they had a better venue space I feel they would have had more things to see/do, such as having anime viewing rooms and maybe some dedicated spaces for cosplayers. 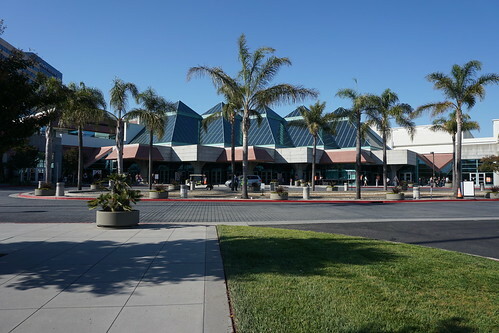 Most of the rooms they had at the Santa Clara Convention Center was used for panels and events, and anything else left was empty for unknown reasons. 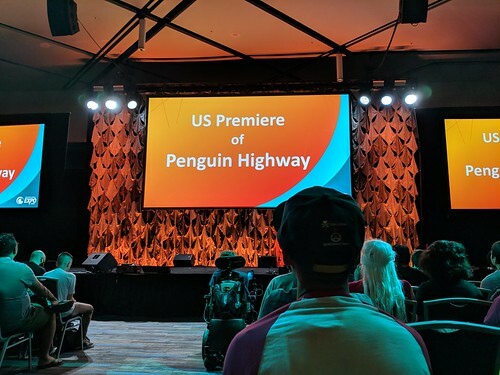 As a company who is directly connected with the industry, I expected more exclusive events/guests. 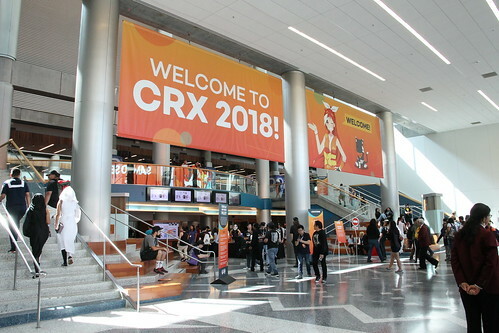 I personally didn’t see much that would have interested me at CRX, but I do have my hopes up for the future years to come. 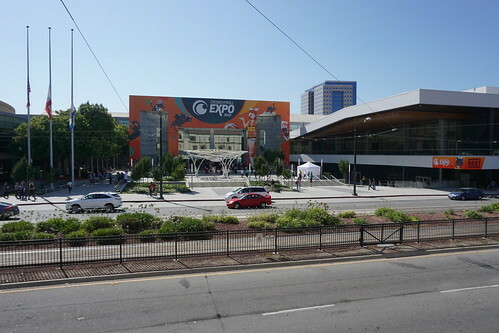 With a bigger venue space, and time to create a reputation as a reputable anime convention, I see potential in Crunchyroll Expo to be a competing anime convention in the Northern California area. 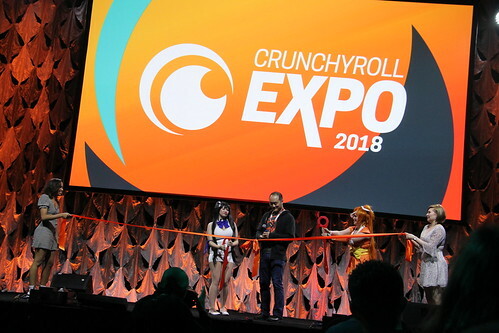 I don’t see them moving down to Southern California anytime soon, as there already are a number of conventions who have cemented themselves there. 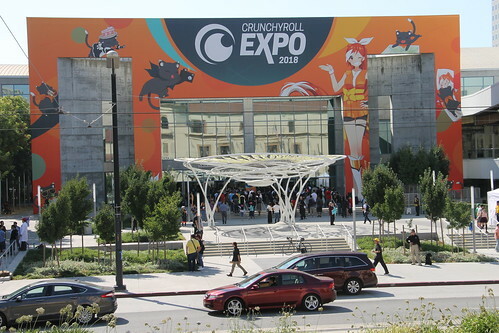 Unless they cave to the increased amount of people who would attend an anime convention in SoCal, they will probably stay close to their headquarters in San Francisco. If CRX continues, I’ll probably be there so I hope you look forward to it as well.